Latah Realty is a full-service real estate broker based in Moscow, Idaho. Our elite team of realtors have a collective 144 years in real estate. Learn more about Latah Realty, our mission and history below. Latah Realty’s mission is to provide the highest quality expert real estate advice and service to our clients and customers while maintaining the utmost in ethical and professional standards. 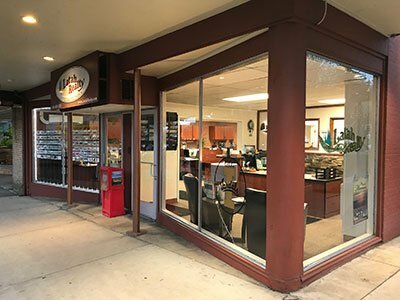 Latah Realty is a small office of experienced and educated real estate brokers, agents and managerial staff. We are and strive to be a synergistic team of top producing agents in Moscow, Idaho and Latah County. We believe success breeds success. Latah Realty is one of the longest running and the oldest continuously locally owned/managed real estate brokerage firms in Latah County. As a result our agents are primarily long-time, local residents. Therefore, we understand the nuances and niches of the greater Latah County area and the communities and neighborhoods within it. Latah Realty provides the highest quality customer service with frank, honest pricing and marketing advice from agents with a strong market knowledge, underwritten and executed with old-fashioned hard work and diligence. Our business model is predicated primarily on the long-term satisfaction of our clients.